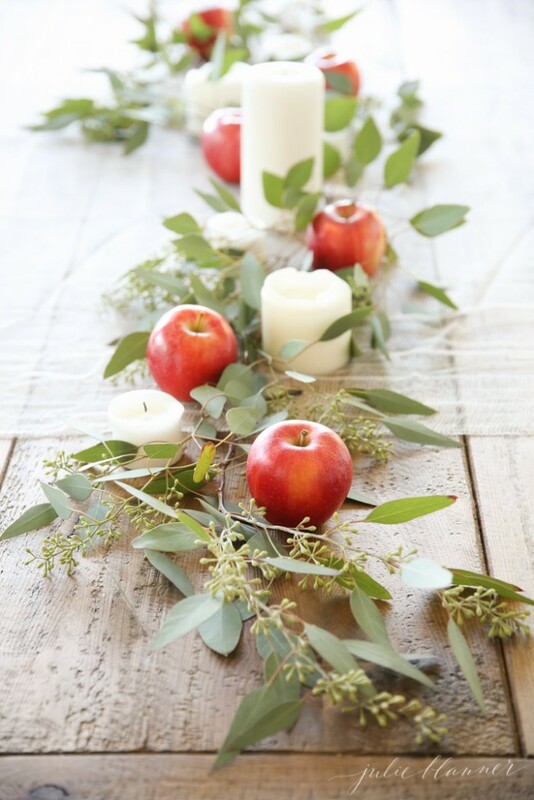 We love this simple table; white pillar candles, loosely scattered greens, and pretty red apples make for an inviting and un-fussy centerpiece. 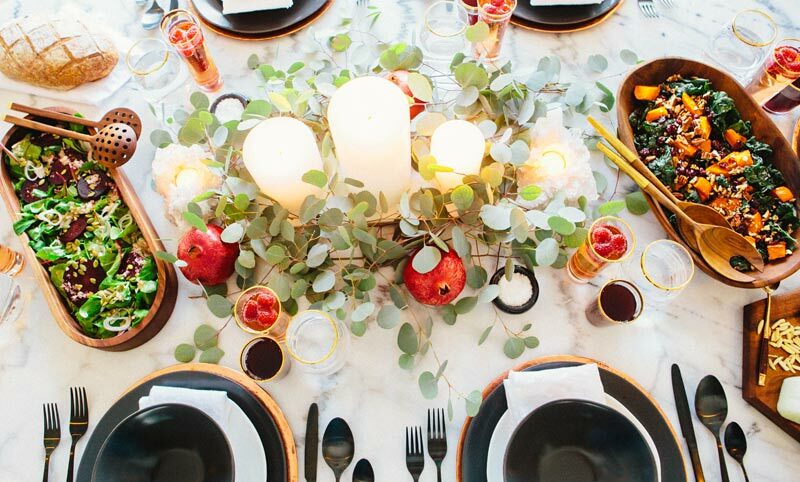 Here’s a variation on the theme, but in a tighter arrangement with pomegranates, rounded eucalyptus leaves, and sleek black dish ware. We can tell you already that we’d be asking for seconds. This arrangement is softer, more old-fashioned, and very inviting. 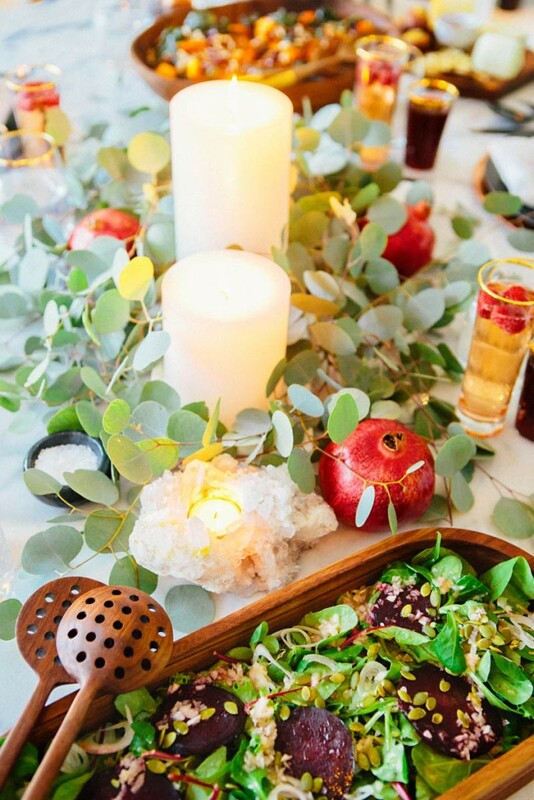 We love the single leaf and sprig placed on each plate, the cascading florals, the rumpled linens, and the silver candlesticks. 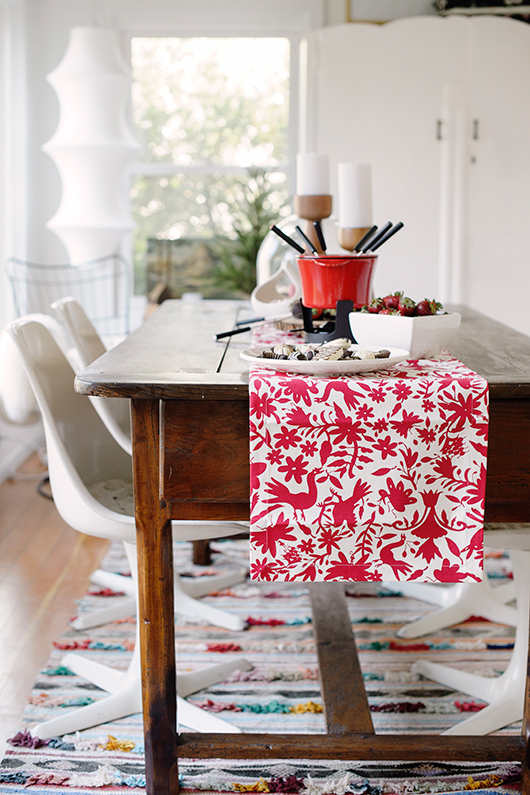 This Otomi-clad table is very different, but no less festive. 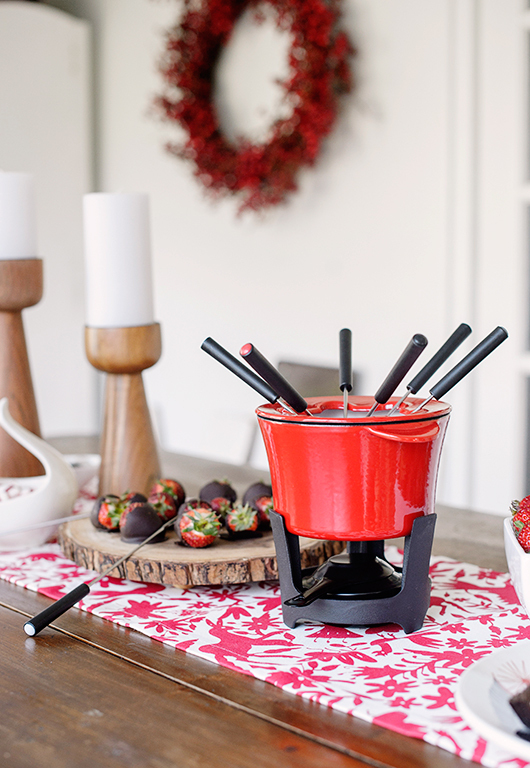 Plus, what’s more fun than fondue? 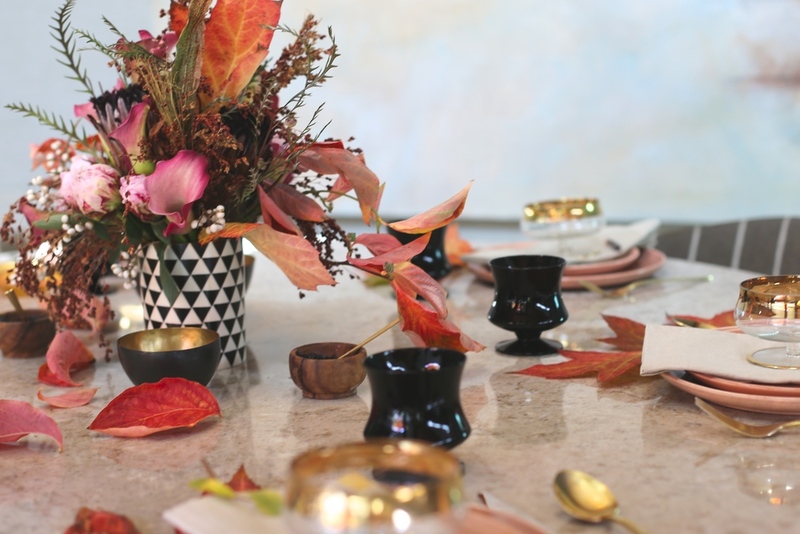 The mix of black, white, rose and gold in this arrangement is very pretty and sweet. Ground it with a white a table cloth, and it would be magical. How about getting a jump on 2016 by incorporating rose quartz, the Panton color(s) of the year, into your holiday table? 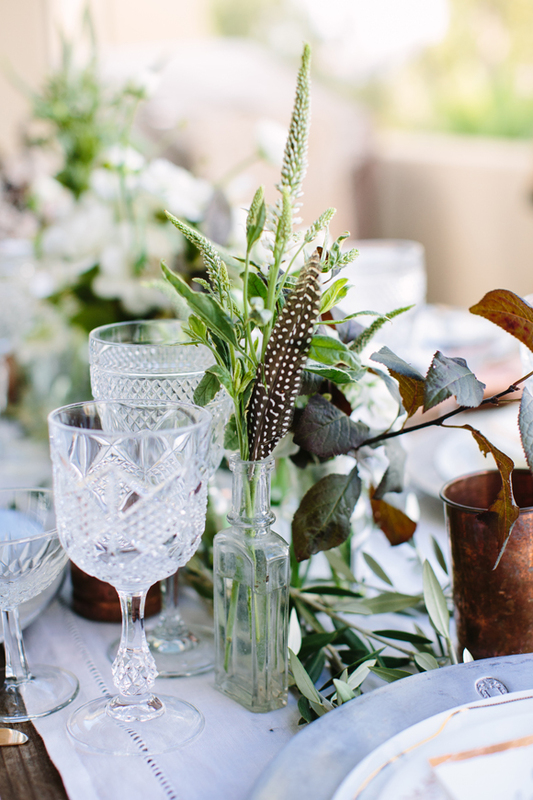 We love it here with the mix of copper, greens, and beautiful cut glass stemware. 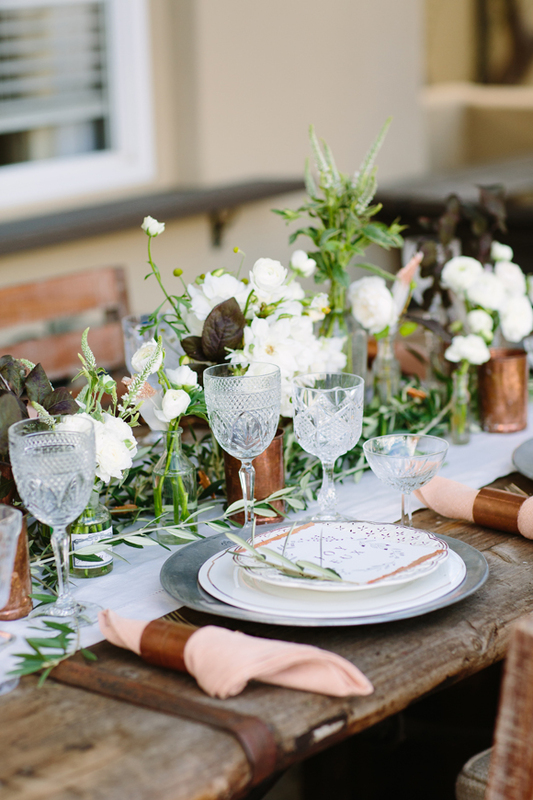 Speaking of cut glass stemware, we both love these blush colored beauties, especially here with the pretty grain sack runner and sprigs of rosemary. 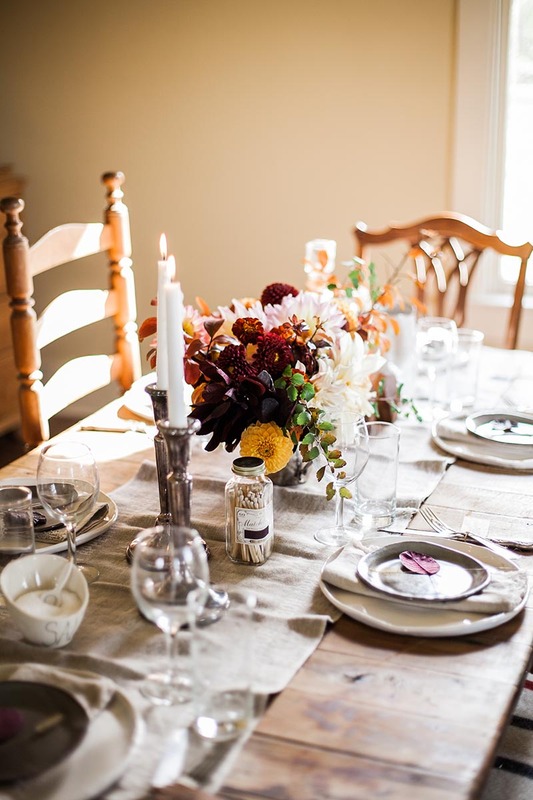 Do you have dishes and decor that you use year after year to adorn your holiday table, or do you do something different each year? We love to hear your inspired ideas in the comments! I have no inspired ideas because I have actually never hosted a Christmas dinner! We were always the visitors, the shleppers. When my parents were alive we’d head for their house, cooking the meal in the later years. Or we’d travel to visit my husband’s family. Now we motor to NJ to see my 102-year old mother-in-law and take her out to a swanky restaurant that is always beautifully decorated. We don’t even really decorate our home because we don’t entertain during the holidays and we skeedaddle south to our winter home right after. Love those rose-colored glasses. Our Christmas dinner table always used to have a tablecloth made by our daughter Mara when she was about eight. With the help of my friend Katy, Mara screen-printed a piece of white linen with green and red and yellow Christmas stockings. We used it for years, gravy stains and all. And last year I was so happy to see it on Mara’s table when we ate dinner at her house on Christmas day. 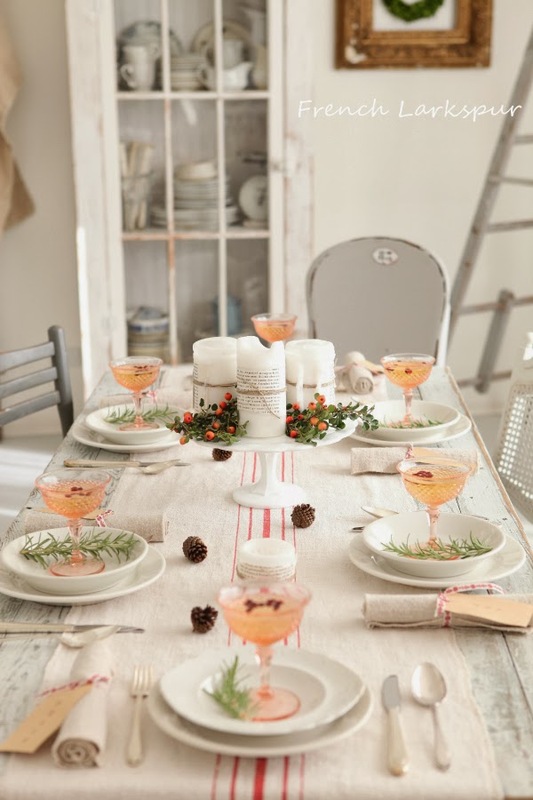 Who says you can’t decorate with vintage cranberry and wine stains? 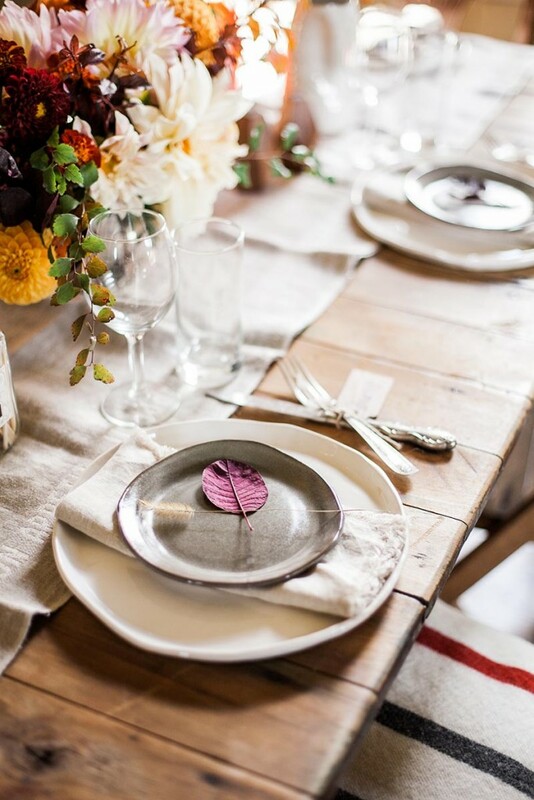 I think all these are so beautiful – light and airy on the bare wood tables. Like Carol I get caught up in the traditional, using the same linens with stories for Thanksgiving, but they are very orange and brown, heavy on turkeys and memories. These photos a treat!